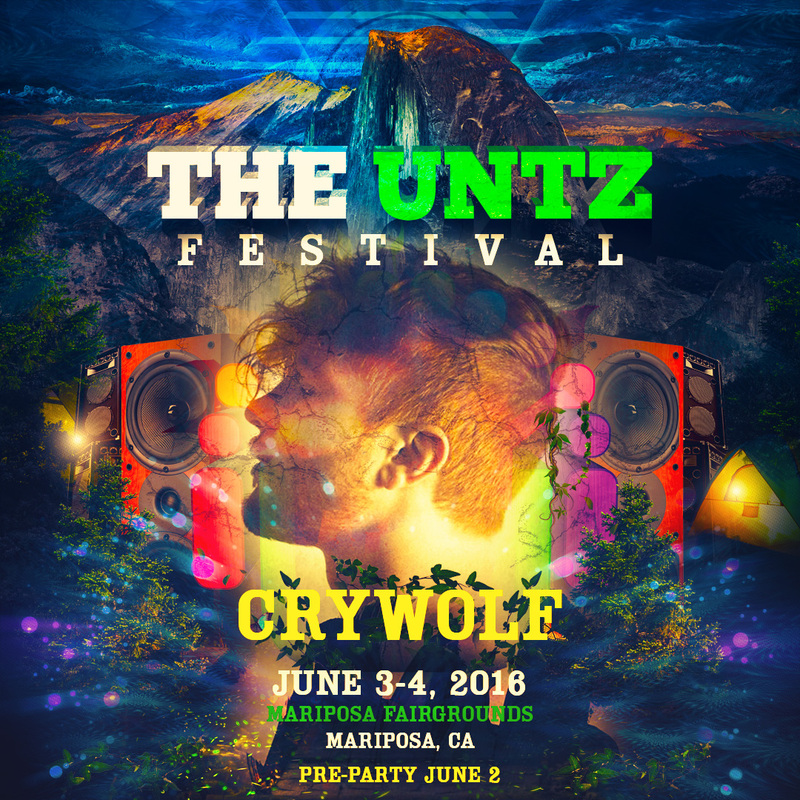 It’s already a no brainer that the inaugural The Untz Festival will be a music lover’s paradise, with tantalizing sounds for everyone’s ears to enjoy. From the psychedelic vibrations of Phutureprimitive and Kaminanda, to the livetronica sounds of Bass Physics and Transfer Station, to the funky jam rock music of The Werks, not a single soul at the Mariposa Fairgrounds will be able to keep themselves from dancing. Some of the performances we’re extremely excited for are that of the melodic bass music producers. These talented musicians blur the lines between dubstep, chillstep and bass music to create a sound that is all things beautiful, breathtaking and danceable. While most electronic producers use standard DJ equipment while performing live, many of the melodic bass producers at The Untz Festival incorporate synthesizers, drum pads, live vocals and other pieces of equipment to create a more sonic experience for their live sets. 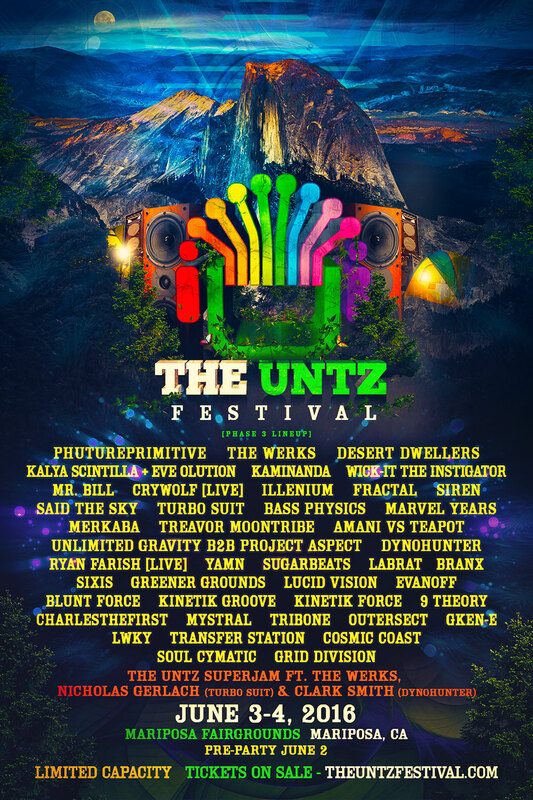 We’re excited to have three phenomenal producers that are leading the charge in the melodic bass scene at The Untz Festival, and better yet, they’re all great friends that frequently collaborate both in the studio and on stage. 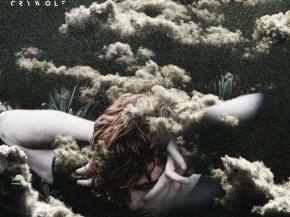 First off is Crywolf; a 25-year-old musical phenom based out of Los Angeles with a solid following and an exuberant amount of power behind his craft. With support from superstars like Bassnectar, Skrillex and Ellie Goulding, Justin Taylor Phillips creates music with a purified passion; an essence so difficult to come by in the clustered EDM world of today. As a producer, Phillips orchestrates music with heart. Every single element of his music is brilliantly crafted to create a dazzling and emotional sound. With meaningful lyrics and graceful vocal skills, Phillips’s creations will take you into a dream world. His diversity as a producer is also extremely hard to match. Songs like “Act Three: Looming” and “Neverland” are perfect examples of his deep, chillstep prowess, while “Shrike” and “Stomach It” match him up with the indie pop dexterity of alt-J. As a performer, Phillips seems to create even more of an emotional environmental within his music while playing live. Using a variety of organic instrumentation as well as pure, unaffected vocals, the atmosphere he creates during his live shows is both powerful and intimate. 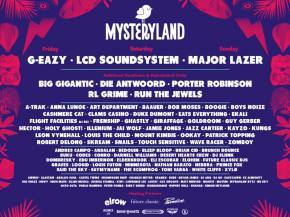 His set at The Untz Festival will surely be a must see. 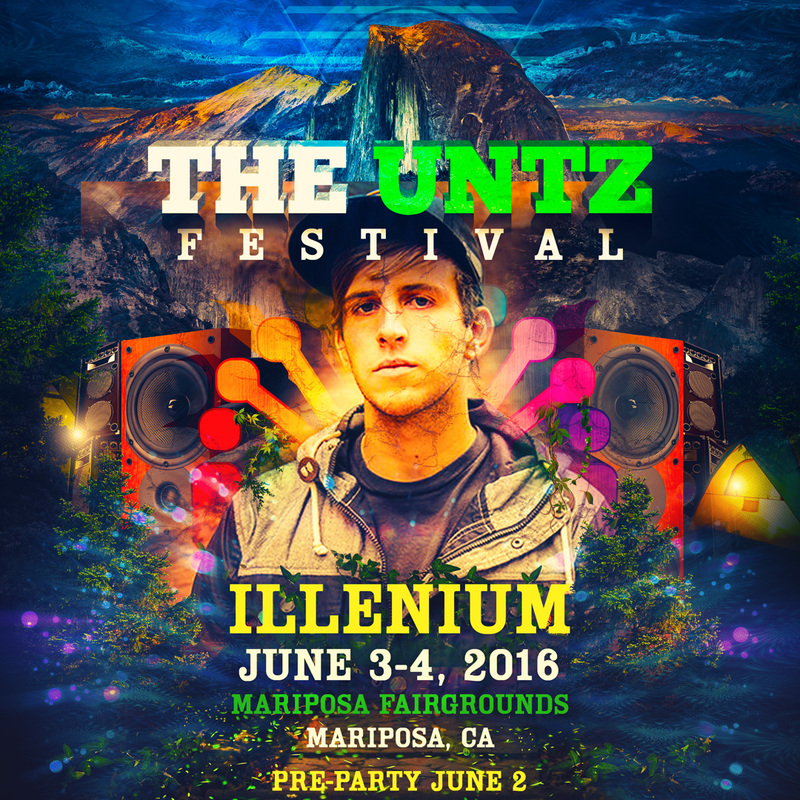 Joining him for the ride will be Illenium, and what a ride his last year truly has been. The Denver based producer has blown up in the past year and shows no signs of slowing down any time soon, performing recently at Decadence and Buku, and is slated to make appearances at Summer Set and Paradiso after his performing at The Untz Festival. Nick Miller’s melodic bass orchestrations have the ability to immerse listeners in a sincerely emotional state of mind. He has the capacity to create music that brings abounding joy to anyone that hears it, with gorgeous melodies, glistening vocal collaborations and unsurpassed complexity. “Shrike,” which he created with Crywolf, shows the skill of both men, taking both of their ability to combine stunning synth sounds with upbeat percussion to spawn a tune that is just as much breathtaking as it is feet moving. Similar to Crywolf, Illenium really knows how to add depth to his live performances. Aside from standard DJ equipment, he incorporates live synths and drum pads to bring his gigs to the next level and give fans an awe-inspiring show. 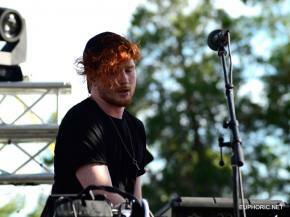 He has even had Crywolf join him on stage to perform vocals at past concerts. Hopefully these two have something awesome planned for us. 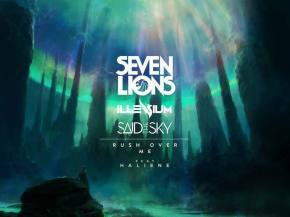 Rounding out the melodic bass trio is Denver based Said the Sky. A long time friend and touring buddy of Illenium, Trevor Christensen began playing the piano at the age of eight and has been mastering a variety of other instruments ever since. His soaring melodies will take your mind to the clouds and keep your heart full of happiness, while his arousing bass lines and upbeat percussion work will have your hips swaying and your feet flowing. While most of the music Christensen makes is for dancing, some of his songs are best for relaxing. His VIP of “Darling,” which features vocals from Texas chillwave duo Missio, is a brilliant piano based piece that turns the upbeat original into a soulful love song. “Nostalgia,” which also features Missio on vocals, is another uplifting piece that leads listeners on an elongated, peaceful journey that concludes with a heavenly, yet exciting drop. The Untz Festival is coming up soon, so if you aren’t hip to these three brilliant musicians then get on it soon! 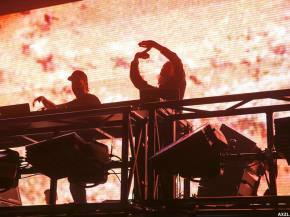 Fingers crossed all three acts get together for a triple performance like they pulled off at Decadence. You can see a bit of their rehearsal for that set below. But videos aren't gonna cut it. You need to be there. 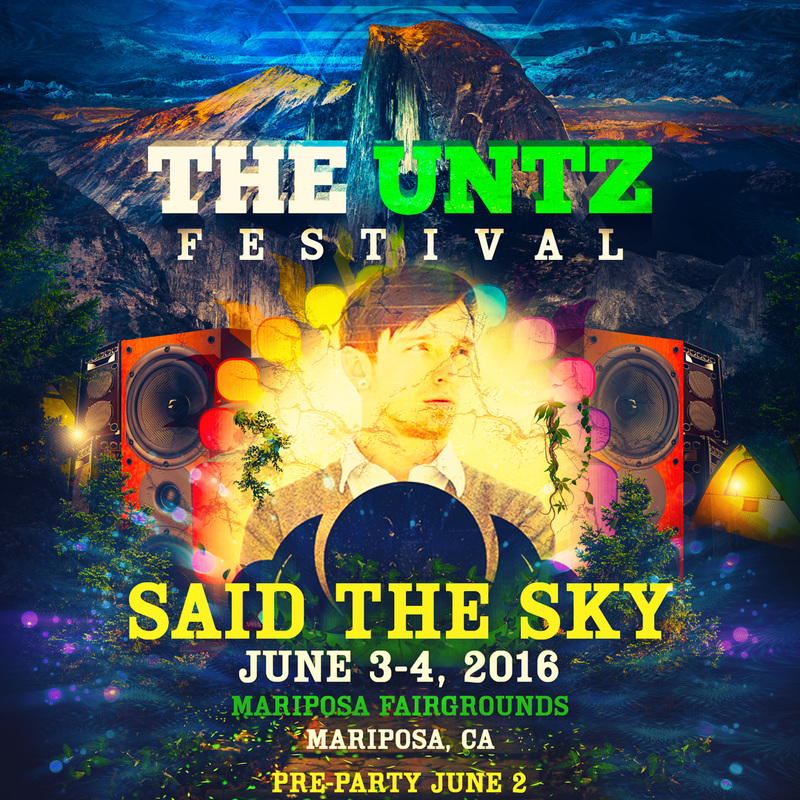 Join us June 2-4 in Mariposa, California by visiting www.theuntzfestival.com and snagging your tickets!